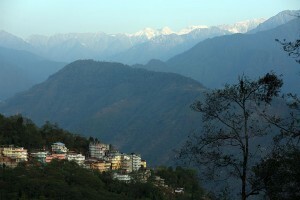 Pelling is fast growing to be an urban settlement due to tourist influx. Situated at an altitude of 6,800 ft, it offers a good view of the entire mountain ranges and due to these locational advantages; many hotels and lodges have mushroomed in and around Pelling offering various categories of accommodation facilities. There is a bus service which links Pelling to the West District Headquarter town of Gyalshing, situated at a distance of 10 km from Pelling. Khangchendzonga Waterfall: About an hour drive from Pelling is KhangchenDzonga Water fall. Do not miss to see it. Pemayangtse: The 17th century Pemayangtse Monastery (perfect Sublime Lotus) of the Nyingmapa order is perched at a height of 2085 m surrounded by snow-capped mountains. Soak in the haunting beauty of Khangchendzonga and its retinue of peaks, it is Sikkim’s second oldest monastery, Enshrined within are numerous ancient icons and objects of worship. Its walls and ceilings are embellished with bright hued frescoes of gods and demons. Pemyangtse is an ideal base for trekking to Yuksam (1630 m) where the Nyingmapa order of Tibetan Buddhism was established and where Sikkim’s first Chogyal was crowned in 1641. 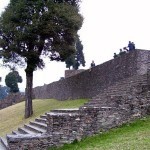 Nearby, Rabdentse, with its ruined palace, was once Sikkim’s capital. Singshore Bridge/Uttarey: The highest bridge in Sikkim about 25 km from Pemayangtse. About 20 minutes drive is Uttary a base camp of Adv. Tourism for Singalila range trail. A place worth visiting. Khecheopalri Lake: Khecheopalir Lake is considered as one of the sacred lakes of this State both by theBuddhist and the Hindus. 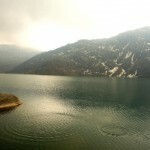 There is a motorable road from Pemayangtse right up to the lake area. For those interested in spending a night or two in the peaceful environment a trekkers’ hut has been provided by the Tourism Department. Versey: It lies at an elevation of 10,000 ft. and has motorable road access upto Hilley. An easy 4 km trek from their takes one up to Versey Rhododendron Sanctuary, One can also trek from soreng or Dentam is West Skkim. The place provides a magnificent view of the mountains. Visitors can halt at “Guras Kunj” trekkers’ hut. 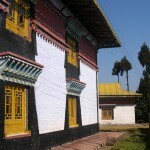 Sangachoelling Monastery: This Monastery is situated on a ridge above Pelling and the famous Pemayangtse Monastery. Built in 1697 AD, it is considered to be one of the oldest monasteries in the State. In order to reach this Monastery one has to be prepared to spend at least 40 minutes walking up the steep hilly slope, which leads through rich forest covers. Rabdentse Ruins: This was the second capital of the erstwhile Kingdom of Sikkim after Yuksom. Today, the ruins lie hidden from the main road at a walking distance from the Tourist Lodge and the Pemayangtse Monastery. 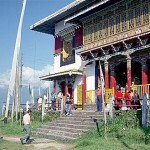 Following a footpath, which branches off, from the main road just below the Pemayangtse Monastery, can approach it. The scenic view from the top of the ruins scanning across deep valley. To the mystic heights of Kanchendzonga ranges is something to be cherished and etched in memory. This entry was posted in Pelling, Sikkim and tagged City. Bookmark the permalink.